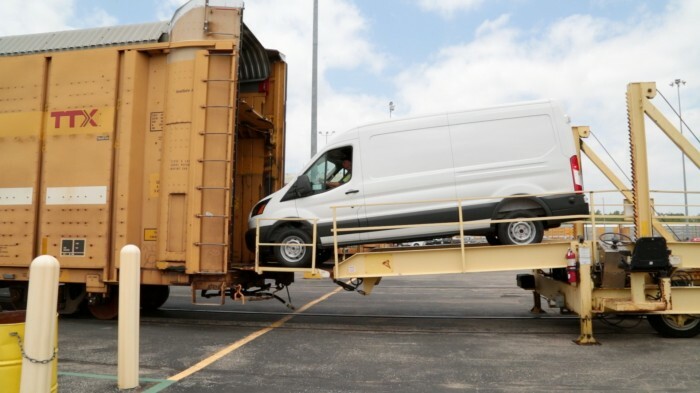 The high roofs (we’re talking 110.1 inches tall here) of the Transit cargo van and wagon line presented an interesting problem for Ford as they looked to ship their inventory to dealerships across the United States. For the solution to getting the future of Ford’s commercial fleet out to the people, the automaker turned to the past and teamed up with the railroad industry. The result: modified Transit railcars that properly house these monstrous movers. “Use of these modified railcars helps us to efficiently ship these large vehicles from our assembly plant, deliver them to our dealers and get them into the hands of our customers faster and more cost effectively,” said Chris Lemmink, Ford vehicle logistics manager. By combining rail and truck transport, Ford is able to significantly reduce the cost and time necessary to make deliveries while optimizing resources in a manner coinciding with Ford’s Blueprint for Sustainability. 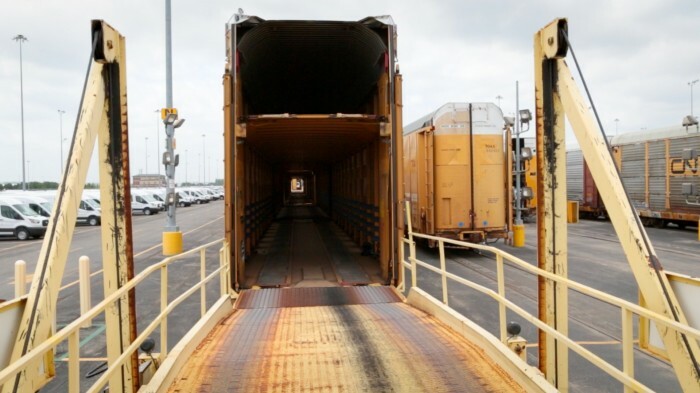 Any Transit with a medium- or high-roof configuration for dealers outside of a 500-mile radius of the Kansas City Assembly Plant where the vehicles are built is transported entirely by rail. The Transit railcars feature elevated inner decks that allow for up to seven Transits to be stored on the lower deck and seven smaller vehicles to be held on the top deck. Ford has been working on their Transit railcar solution since 2010, when development of the 2015 Transit van and wagon got underway.